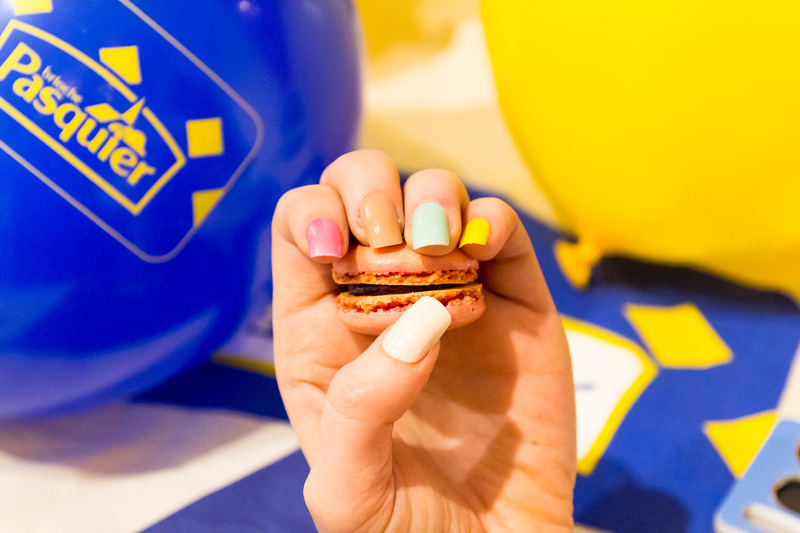 I love macarons as much as the next blogger so when I was given the chance to work with Brioche Pasquier on a #MacaronManicure campaign to receive a party pack and throw my own Macaron Manicure party I jumped at the chance. I knew of the Brioche Pasquier macarons and knew how delicious they were after having one or two recently at my cousins christening. I had remarked how nice they were and was very surprised to discover that they were actually frozen macarons you can purchase from Ocado in boxes of 36. Macarons are usually very pricey, around 50p to £1 each even for frozen or supermarket bought. These boxes of 36 frozen macaron are very reasonable for a party or function as the huge box is only £12.99, working out at roughly 36p per macaron. 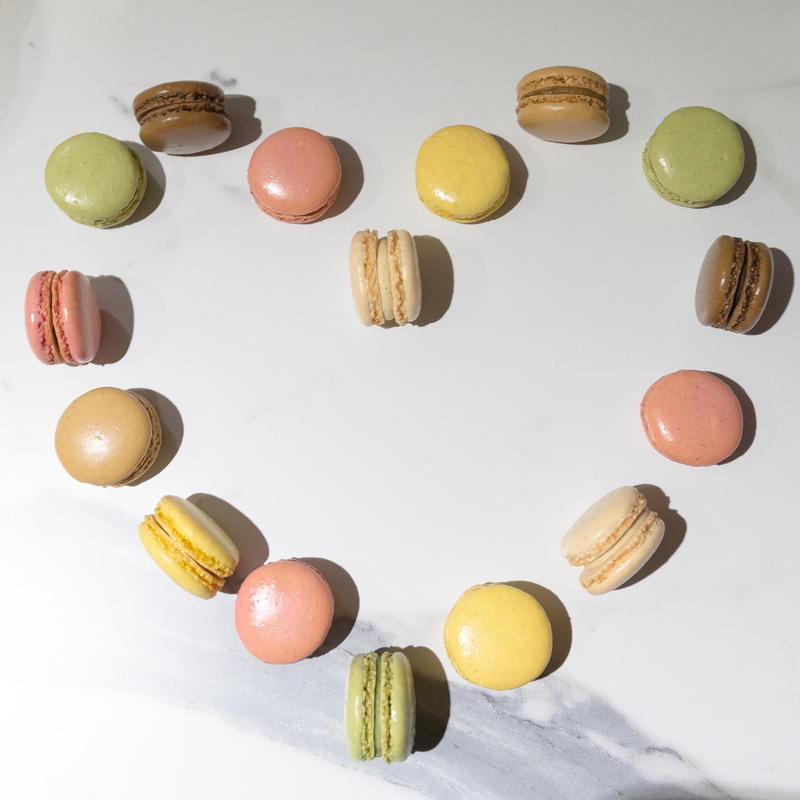 These macarons really are delicious and come in six different flavours – raspberry, lemon, coffee, chocolate, vanilla and pistachio. Perfect for an afternoon tea themed macaron manicure party with the girls and everyone really enjoyed this fun new take on a classical afternoon tea. 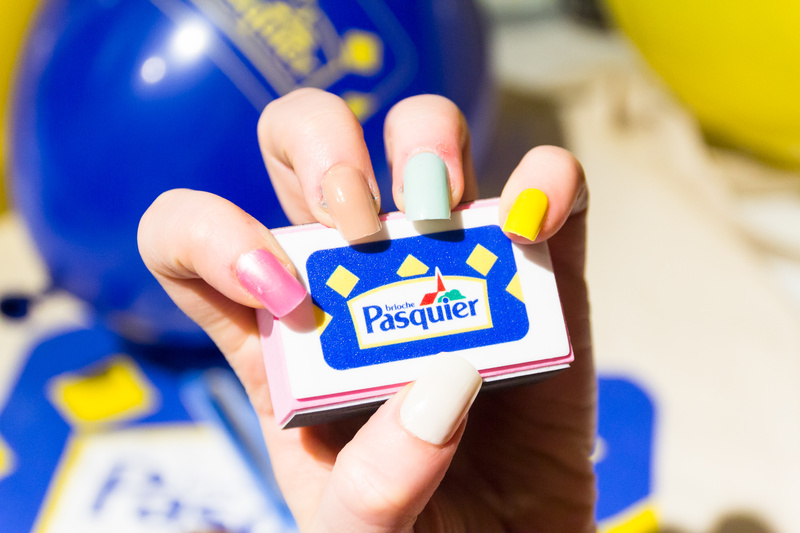 The macaron manicure party packs included all kinds of Brioche Pasquier themed decorations, party pieces and nail decorating products so my house looked macaron manicure party ready. I was all set to host my party as the packs also included nail files, nail scissor sets and pretty pastel macaron manicure nail varnish, to match each flavour of macaron available, for all of my guests. I chose beforehand that my macaron manicure would be simple and be all flavors of the macarons in the box as I didn’t have much time to do nail art at the party. 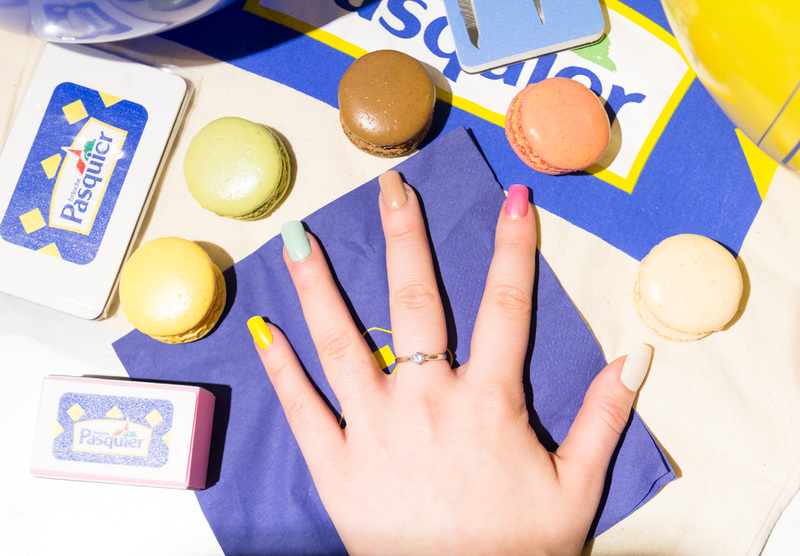 I loved having pretty pastel nails that matched my delicious macarons! It was a very easy nail polish but was very effective. Don’t miss out on yesterdays post, creating natural wavy hair with Fudge Urban.